As a kid I always loved to dress up! whether it was at home playing role play in my disney costumes or for some kind of school event. I went to a great school where every year we would study a different event in history and would celebrate with a themed day dressing in traditional costume with days such as Greek day, Roman Day and we even had a Blitz night. For each of these we would wear costumes, try traditional foods and do lessons and crafts based around the certain era. It was fantastic fun and I have so many fond memories of my primary school. 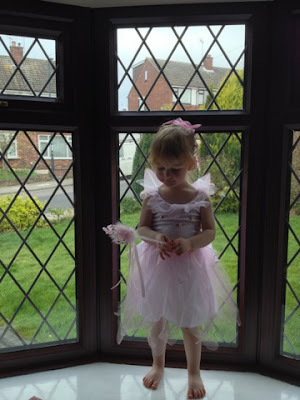 Gracie is due to start Nursery at the same school this september and i'm hoping she will love it as much as I did. When I was younger my favourite dressing up costume was apparantly Esmeralda from Disney film The Hunchback of Notre Dame, complete with big plastic hoop earrings. My Mum and Dad love to laugh at me now for it I just wish there was some picture evidence! Gracie seems to have inherited my love for Dressing Up play and has a wooden toy bench full of different costumes. She has a few Disney Princess dresses, a fairy dress, a pirate costume, a kitchen apron set and even a Kermit the Frog 3D costume! 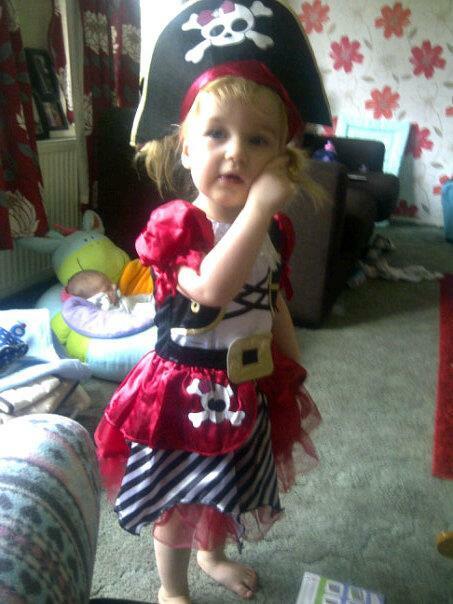 She would quite happily wear dressing up clothes everyday if she could and the past week she quite literally has. We've had lots of fun having imaginative play pretending she is her favourite characters whilst dancing around the room. She has quite the imagination! Here are a few piccies of her in action!